Research shows that the use of choline supplements during pregnancy may prevent schizophrenia. Specifically, lower rates of physiological schizophrenic risk factors in infants 33 days old has been noted when the dietary supplement is given during the second and third trimesters of pregnancy and early infancy. Robert Freedman, MD, professor and chairman of the Department of Psychiatry, University of Colorado School of Medicine and one of the study's authors states: "Basic research indicates that choline supplementation during pregnancy facilitates cognitive functioning in offspring. Our finding that it ameliorates some of the pathophysiology associated with risk for schizophrenia now requires longer-term follow-up to assess whether it decreases risk for the later development of illness as well." 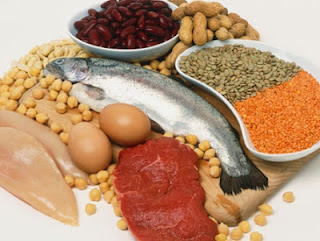 Choline is a water-soluble essential nutrient, typically grouped within the B-complex vitamins. It can be found naturally in foods such as liver, muscle meats, fish, nuts and eggs. According to the American Institute of Medicine, pregnant women require between 450 and 3500 milligrams of choline each day and 550 to 3500 milligrams while lactating. Infants aged 0-6 months need a minimum daily dose of 125 milligrams of choline and 150 milligrams from 7-12 months of age. To test their theory, researchers observed infant responses to a clicking sound. Typically, the brain responds fully to an initial click, however the response to a second click immediately following the first is inhibited. This trait is often absent among schizophrenia patients and relates to poor sensory filtering and familial transmission of schizophrenia risk. Researchers observed this effect among infants to represent the illness as schizophrenia does not normally appear until adolescence. These results could not only assist in early detection of schizophrenia, but may even help in preventing the illness or developing more effective treatments.